into the soul and delights and elevates it, and fills it with noble inclinations. 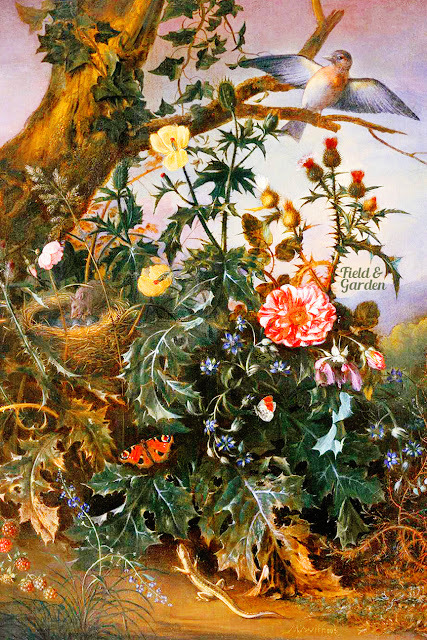 A ready-to-print fine art note card featuring a landscape painting by Dutch painter Matthias Withoos (1627 - 1703), titled "Woodland Still Life with a Mouse, Goldfinch and Salamander." You can download the high-res 4" x 6" @ 300 ppi JPEG without a watermark here.